Cadabra Labs » Science projects and kits for adults and kids! 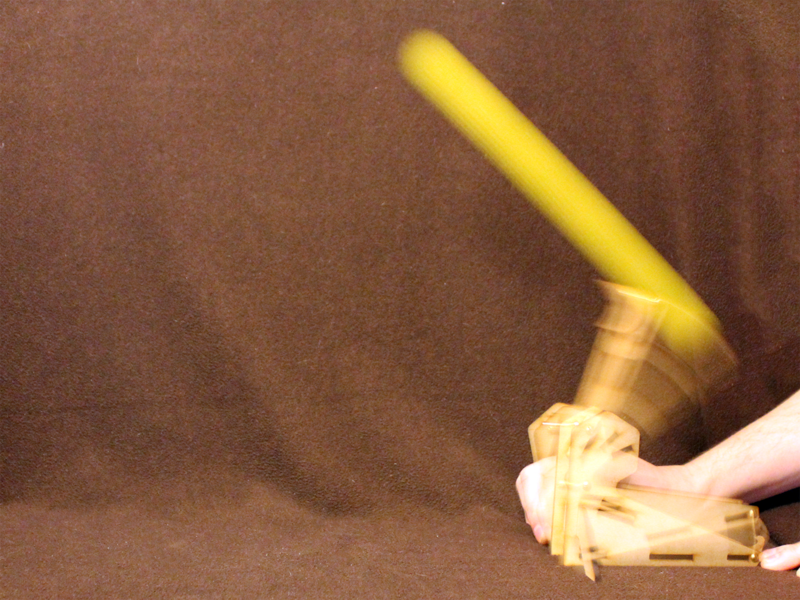 Working on a video to show the launch capabilities. We just launched a new Kickstarter project who’s goal is to create and distribute the world’s fastest 1.5V powered Lorentz Motor! There’s a few options so if you like Magnets, speed, or Science, you’ll love this fast and simple motor! 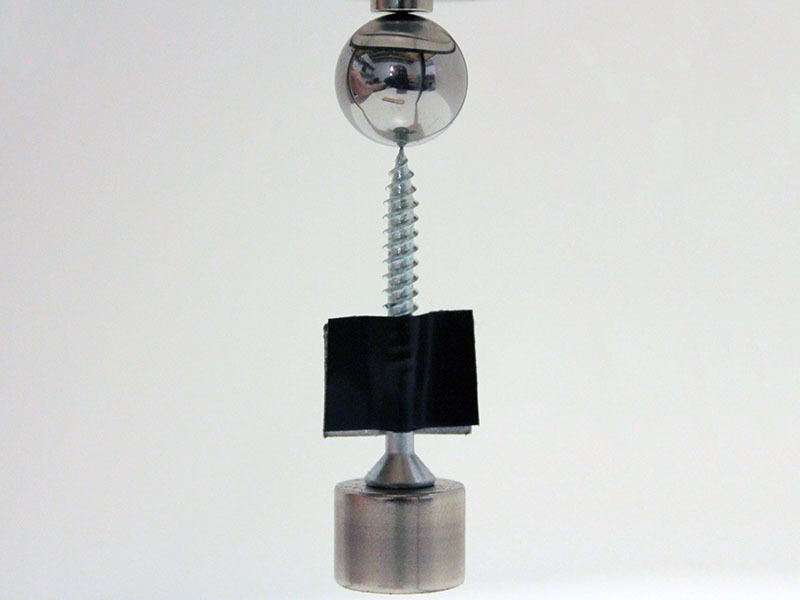 You can find the Mini Levitation sculpture and the new Magnetapult at Promotex Inc’s web site. (The new Magnetapult is a bit bigger then the original Mini, but shoots its ammo over 30 feet!) They ship pretty much anywhere and should easily make it in time for Christmas. You’ll have to email Bruce directly (bruce@promotex.ca) to see if they have any clear Mini Levitator’s left. Their picture shows the levitation better than mine, however. Introducing the Magnetapult: The Magnetic Catapult. Calculations show its going 25 feet/second, accelerating at over 16 g’s! Hard to get this picture, let me tell you! I’ve been working on this since halfway through the Magnetic Levitation Sculpture project, and I hope everyone likes it! Video isn’t up yet. I work from home, so its hard to get into an office setting to get a good video of a cubical war… I’ll get something up! Levitator page updated with instructions! If anyone has lost their instructions (or god forbid I missed packing one in with your levitator!) 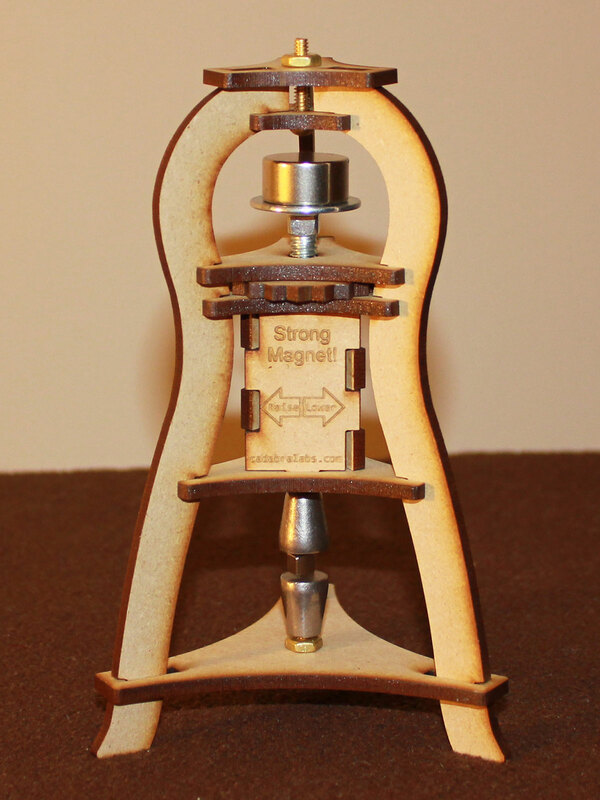 I’ve updated the levitator page with downloads for both sets of instructions so you can print them or just reference them yourselves. If I did miss packing one in for you, my most sincere apologies! I’ve put up the Magnetic Levitation Sculpture information. There’s two parts, the Levitator tips section (good idea to read before starting assembly), and the Levitator User Gallery. I would encourage all the backers and customers to upload pictures of their sculptures in action. (You can share your sculpture picture on the right side of the page.) The best ones may be used to convince others to buy them as well! Welcome to the blog for Cadabra Labs! Here, you’ll see information on where to get our products and helpful tips for using them.